DROGRACE WP200 can record in 1080P, but keep in mind that the FPS (frames per second) are pretty low – 25fps. That means that while the video quality is good, it won’t be as smooth and as sharp as a 60fps camera for example. In case this is critical for you – I highly recommend also checking out the YI Action Camera (Amazon link). It offers much better video quality, and it’s a pretty small device as well. Xiaomi (or just YI) is well known for their smartphones, and their action cameras are very popular and successful as well. Another great action camera you should check out is AKASO EK7000 (Amazon link). 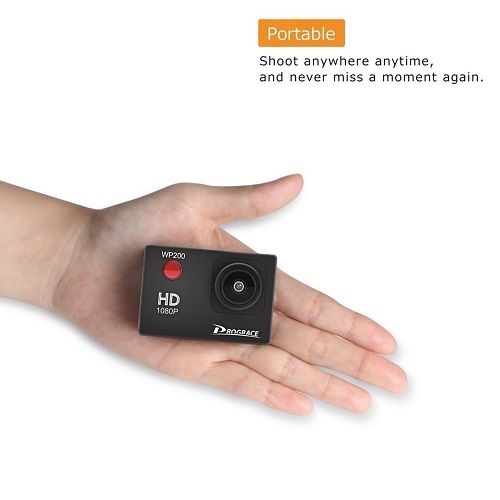 While its not as small as the DROGRACE WP200 action camera – it provides much better video quality. In fact, it can record in 4K and comes with much more accessories and mounts. DROGRACE WP200 comes with a waterproof case. It’s easy to install it, and after that – you can record really nice and cool videos underwater. Also, you get few other mounts and accessories. 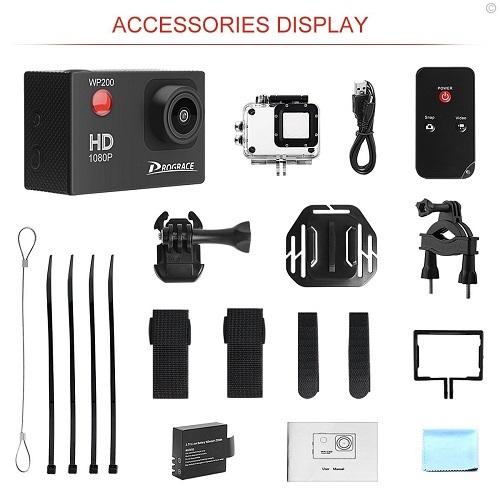 Other action cameras like AKASO EK7000 I mentioned above come with way more mounts and accessories – so that’s something to keep in mind. Many people don’t need all the mounts -so sometimes, there is no need to overpay and buy the more advanced action camera. DROGRACE WP200 comes with a very basic remote control, which is useful since the action camera itself does not have WIFI. That means you won’t be able to connect it to your smartphone, like it’s possible with most other cameras. The included remote control works well, but the range is fairly limited. DROGRACE WP200 comes with one 900mAh battery that should last 40-90 minutes, depending on the video quality and other factors. The screen size is 2.0″, so it won’t consume too much power. I came across some action camera with huge screen, that made the battery last less than 30 minutes. With the WP200 action camera you won’t have this problem. 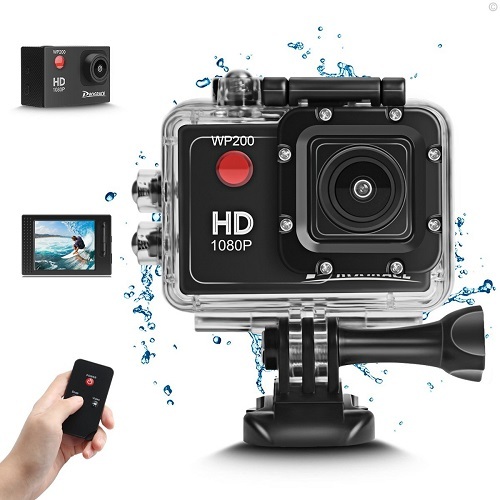 If you need a very basic action camera, with reasonable video quality – DROGRACE WP200 may be good for your needs. Keep in mind it does not have WIFI (but comes with a remote control), and not many accessoires and mounts are included. Overall – it does deliver for its price, but if your budget allows it – I would recommend going with a camera like Xiaomi YI or AKASO EK7000 which provide much better video quality. I hope you will find this DROGRACE WP200 review useful. If you have any questions about this device – feel free to comment below. Also make sure to check out the other interesting reviews on our website.